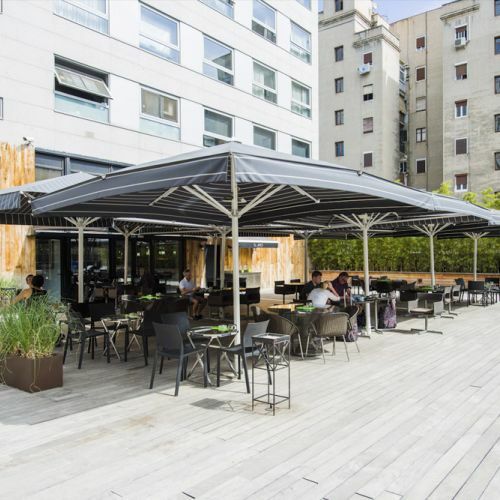 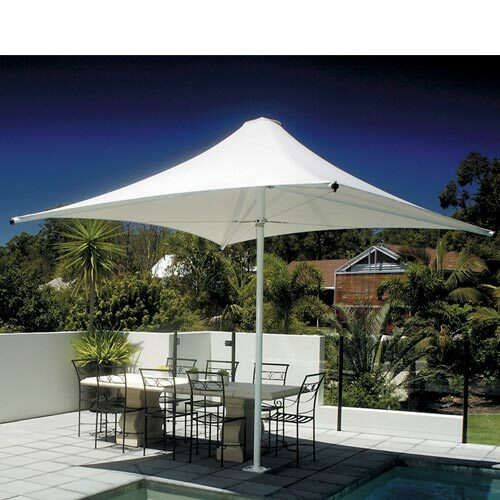 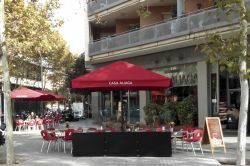 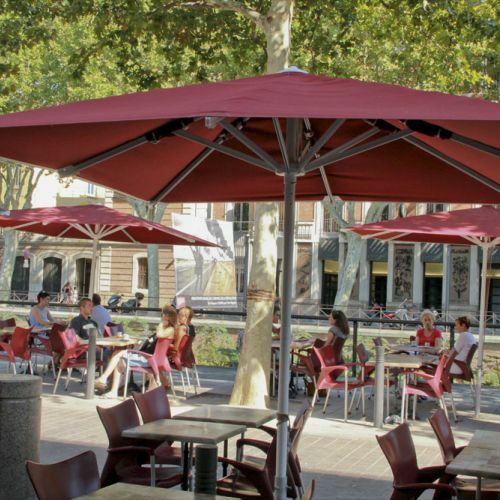 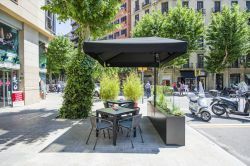 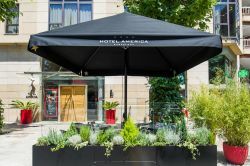 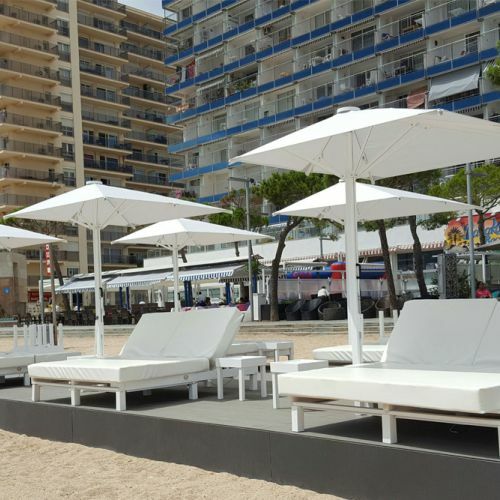 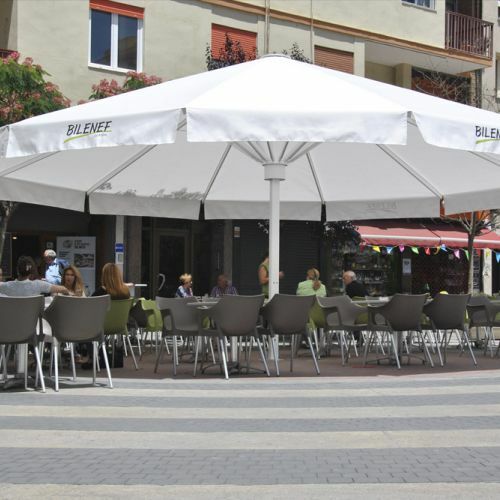 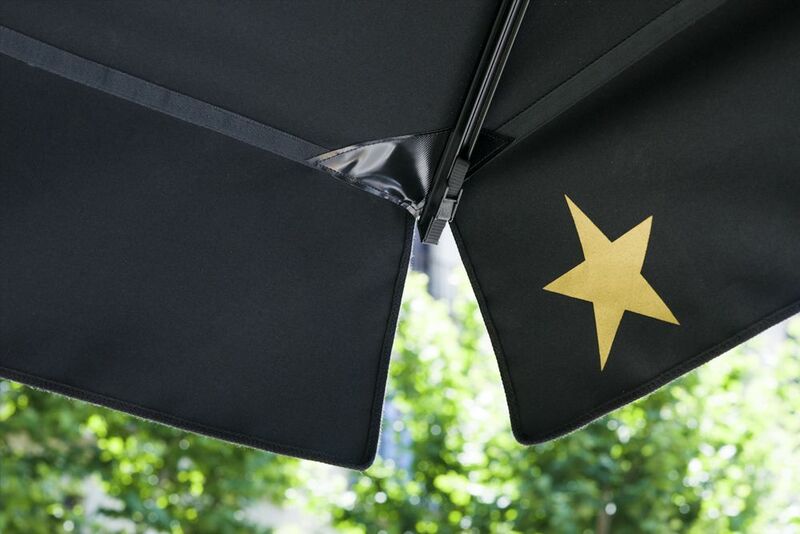 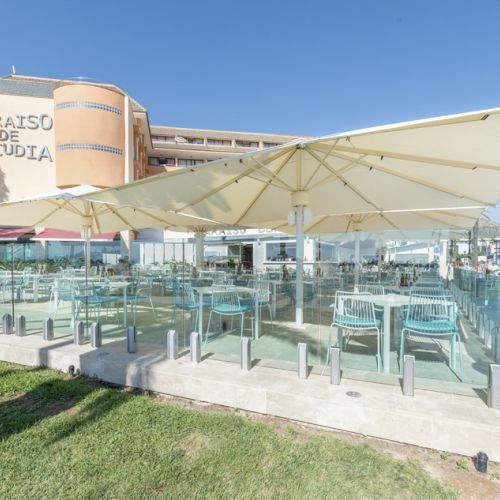 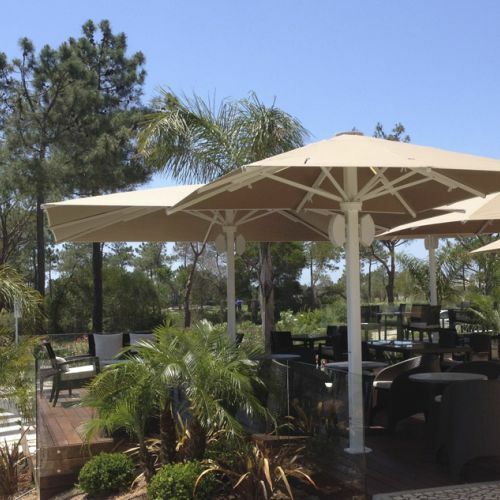 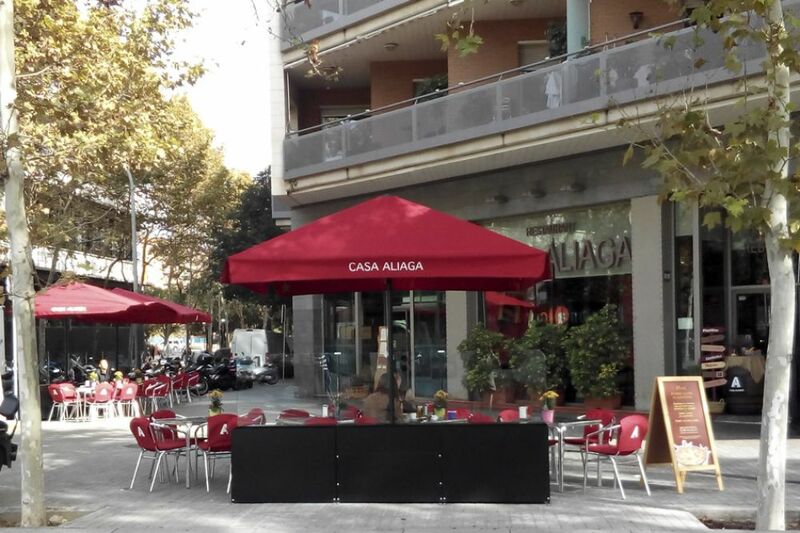 Smaller but robust umbrella that is adaptable to any space, ideal for covering small and medium exterior areas. 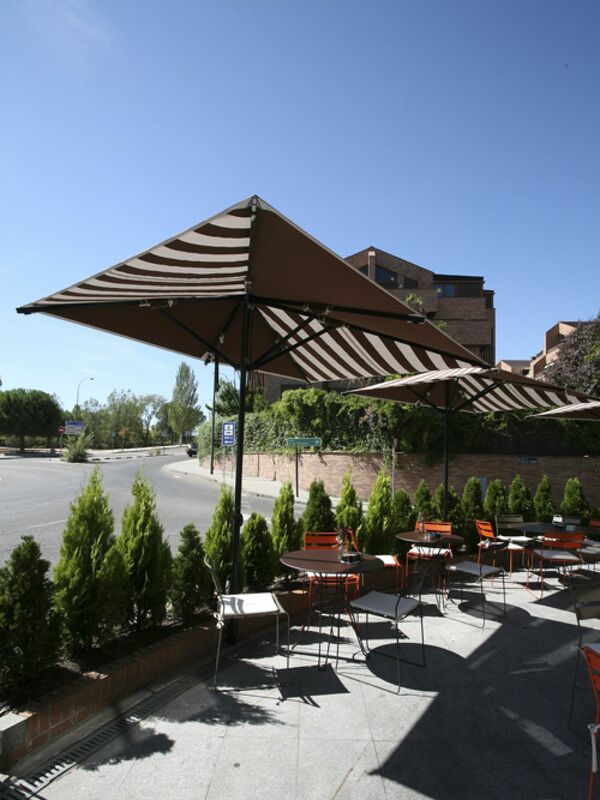 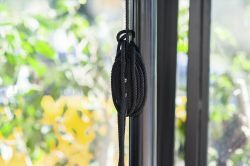 Durable and light at the same time, it can be permanently installed or removed each day. 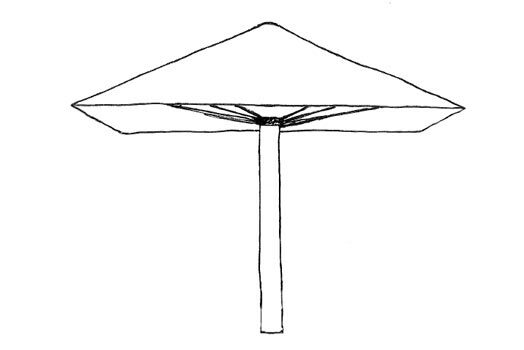 With the same characteristics as the Ibiza model but with an offset mast. 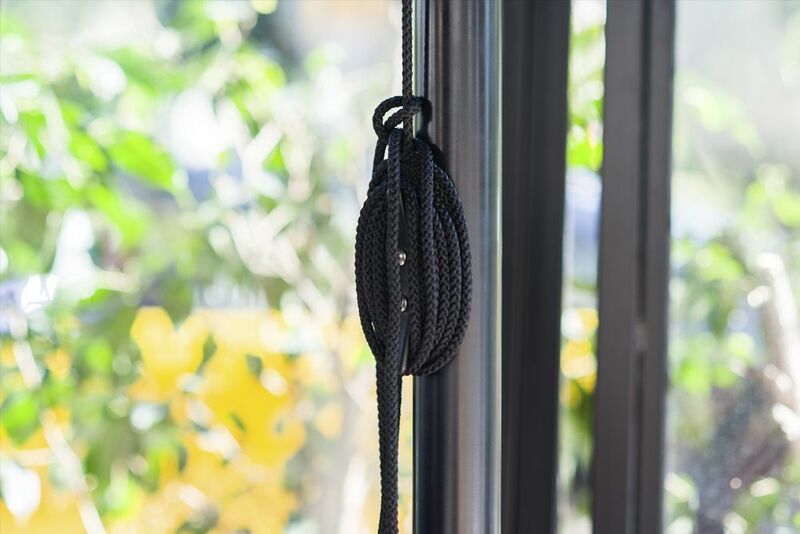 Must be anchored to the ground. 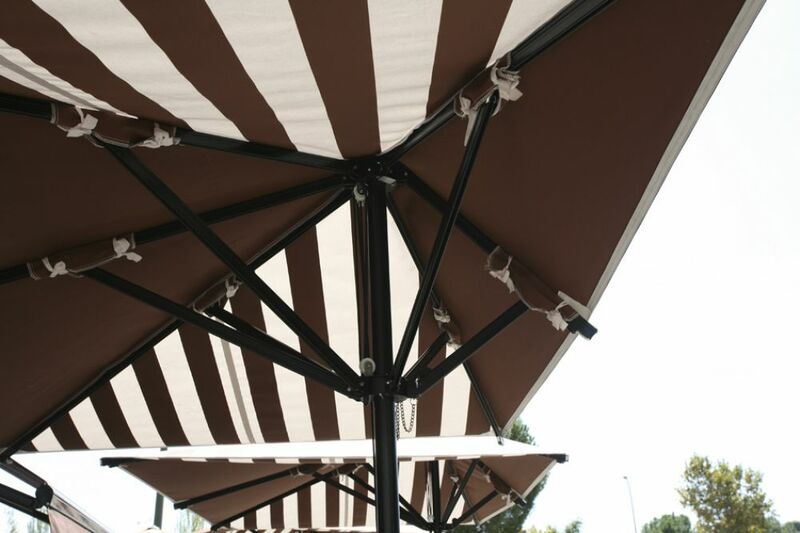 Delivered placed in the mast of the umbrella. Galvanized steel base to insert + aluminium cover. placed in the mast of the umbrella. 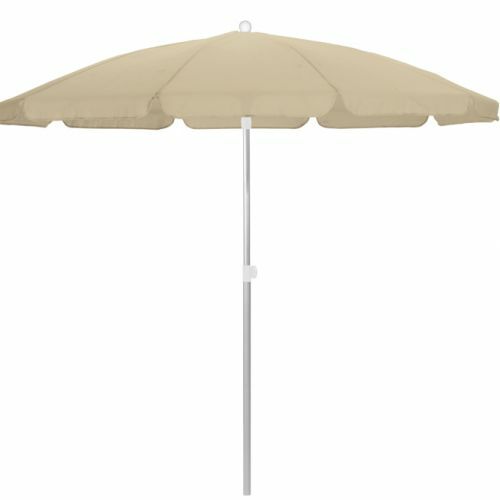 necessary to insert the umbrella.